Description:The building on the left was originally the church of St Mary and St Patrick, opened in 1860. the present church of the Sacred Heart on Jasper Street was consecrated in 1911. 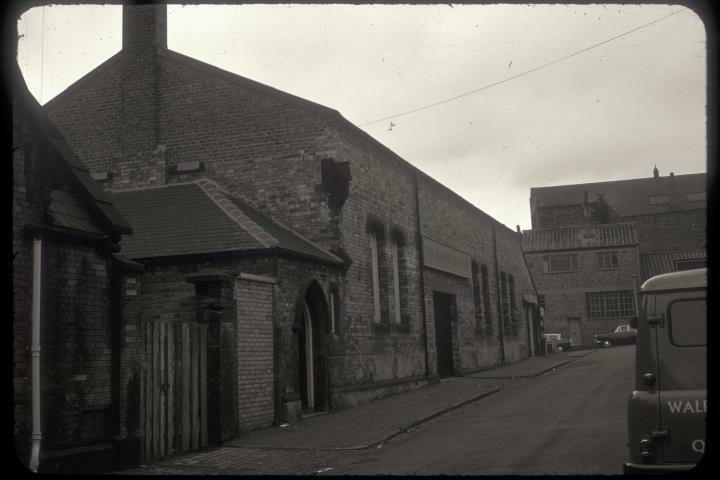 The church in Lower Foundry Street continued to be used occasionally until around 1940 when it was sold. At the time of the photograph it was used as a warehouse by the Walpamur Company who manufactured water based emulsion paints. The building has since been demolished. 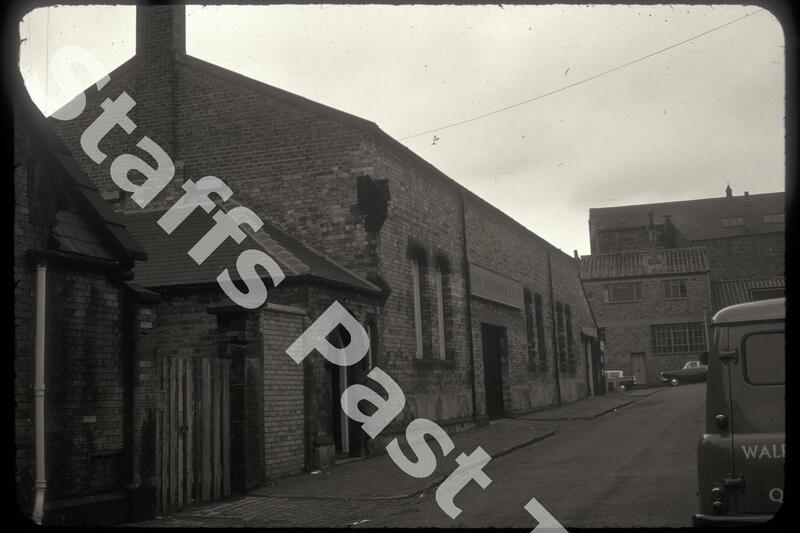 Running across the bottom is Weaver Street with the Reliance Works visble.